"With history in the background", participants of the marathon will run alongside many great monuments of the Wawel castle. Last year, the 17th PZU Cracovia Marathon was completed by a record number of 5630 runners from among the number of 5848 who started. This year, the Cracovia Inline Skating Marathon (marathon distance) will be the first act of a two-day running event in the capital of the Malopolska Region that will start on Saturday, 27 April. 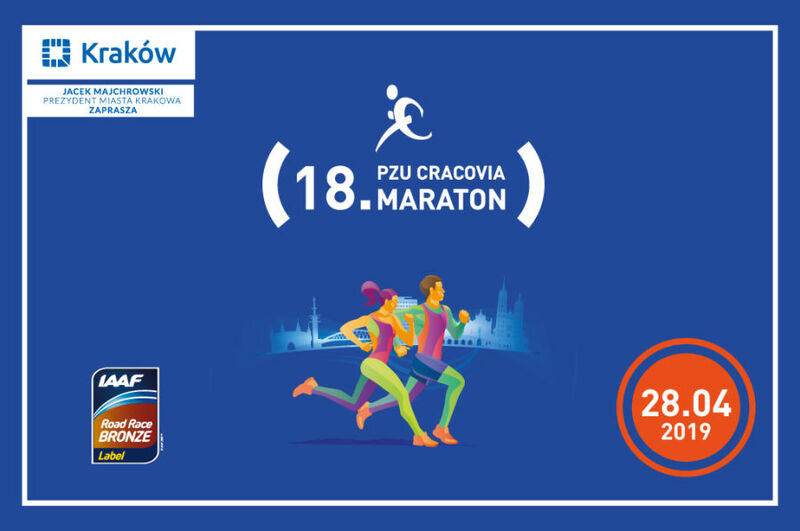 For the 14th time, participants of the Mini Cracovia Marathon (4.2 km) will commemorate Piotr Gładki - the winner of the fourth edition of the Krakow marathon who won the Cracovia Marathon as the first (and the only one so far) Pole, and two weeks later he tragically died in a road accident. The Night Run for 10 km will be the summary of the Saturday races. For the second time, the competitors will start and finish where the marathon runners do - on the Main Market Square! During the 18th PZU Cracovia Marathon there will also be a competition of handicapped wheelchair riders - with hand bikes, rim push and active wheelchairs.